Dropmysite helps hosters and service providers provide simple, intuitive, and powerful website and database backup solution to their customers. Website owners and IT Admins can now use Dropmysite to schedule automatic backups of their websites and databases, monitor website availability and performance, monitor website for Google blacklisting, and to restore or download lost or corrupted data with a single click. The service is highly flexible and service providers and hosters can decide which features they want to offer their customers. Our Pay as you go model now allows service providers and hosters to offer Dropmysite at no upfront cost. This translates into increased revenue and margin at no extra cost. Some of our partners have been able to boost their revenue and margins by up to 25% by offering backup in their new user sign-up page. Easy integration - with Dropmysite happens in days not weeks. We provide a world-class partner program that covers technical support, sales and marketing support, reseller tools, dashboards, multiple languages and more. Reduce Support Cost -All Dropmysite solutions are easy to use and self service. 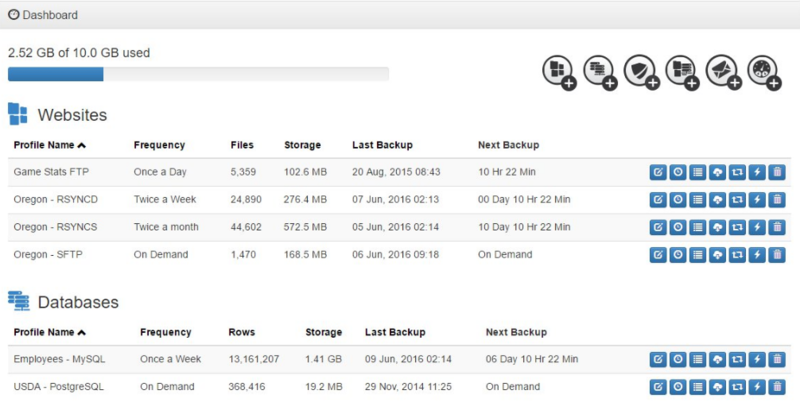 Your customers will now be in-charge of their own backups and archives. This means lower support calls to you when things go wrong with customers data and they need access to a backup copy. Increase Retention - Hosting solutions are becoming more and more commoditized with negligible switching cost. Dropmysite solutions will improve customer stickiness and also help you differentiate yourself from other providers. Provisioning of Dropmysite Backup service requires a reseller partnership. Visit Dropmysite to learn more about the program or contact us at sales@dropsuite.com. If you are not already a Dropmysite Partner, contact us immediately for a quick demo and to get an account. 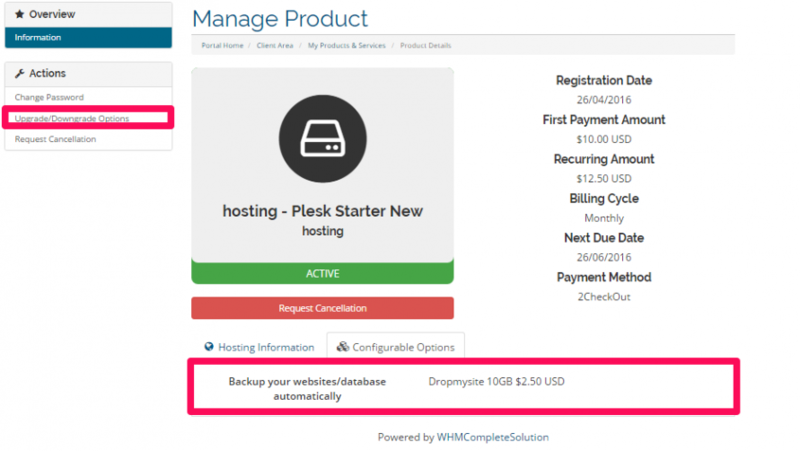 Dropmysite WHMCS Module 3.1.0 -This module works with Dropmysite Plesk plugin. An active Dropmysite’s reseller account.